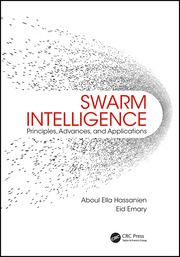 This book includes introduction of several algorithms which are exclusively for graph based problems, namely combinatorial optimization problems, path formation problems, etc. 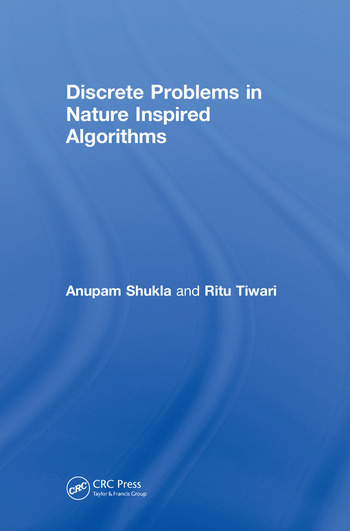 Each chapter includes the introduction of the basic traditional nature inspired algorithm and discussion of the modified version for discrete algorithms including problems pertaining to discussed algorithms. Anupam Shukla is currently a professor with ABV-Indian Institute of Information Technology and Management and has a total of 25 years of experience in both teaching and research. He received the Young Scientist Award from the Madhya Pradesh Council of Science & Technology, Bhopal in 1995 and the Gold Medal from Jadavpur University, Kolkata in 1998 for his postgraduate studies. Professor Shukla's main research area is Artificial Intelligence, and he is currently focusing on Neural Networks and ‘Evolutionary and Nature Inspired Computations’ that have incalculable applications in Bioinformatics, Medical Expert System, and Robotics. He has supervised 8 PhD students and 67 M Tech thesis in this area. Professor Shukla has published 161 research papers in various national and international journals/conferences, 7 book chapters, and edited two books in the area of biomedical engineering from IGI Global Publishers. 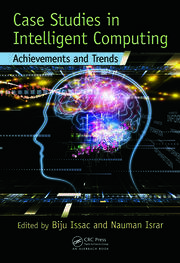 Additionally, he has also authored three books entitled: "Real Life Applications of Soft Computing" CRC Press, Taylor and Francis; "Intelligent Planning for Mobile Robotics: Algorithmic Approaches" IGI Global; and "Towards Hybrid and Adaptive Computing: A Perspective", Springer Verlag Publishers. Ritu Tiwari is an Associate Professor (Department of Information and Communications Technology) at ABV-IIITM, Gwalior. She has 14 years of teaching and research experience which includes 10 years of post PhD Teaching and research Experience. Her field of research includes Robotics, Artificial Intelligence, Soft Computing and Applications (Biometrics, Biomedical, Prediction). She has two patents to her name and has authored three books titled: "Real Life Applications of Soft Computing", Taylor and Francis; "Intelligent Planning for Mobile Robotics: Algorithmic Approaches", IGI Global and "Towards Hybrid and Adaptive Computing: A Perspective", Springer-Verlag Publishers. 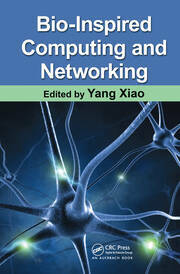 She has also edited two books in the area of biomedical engineering from IGI Global . She has supervised 5 Ph.D. and 90 master’s students and has published 104 research papers in various national and international journals/conferences. She has received Young Scientist Award from Chhattisgarh Council of Science & Technology in the year 2006. She has also received Gold Medal in her post graduation from NIT, Raipur. She has completed ten prestigious research projects sponsored by Department of science and technology (DST) and Department Information Technology (DIT), Government of India. She is currently involved with the Government of India and is working on three sponsored research projects. She is a reviewer of various international journals including ACM Computing Review, IEEE Transactions on Information Technology in Biomedicine, Elsevier Journal of Biomedical Informatics and Elsevier Neurocomputing journal. "Each chapter includes detailed problem formulation, practical examples, flowcharts illustrating special algorithms, questions and solved exercises which reinforce important topics. Besides being very useful to those who are interested in discrete optimizations problems and applying various metaheuristics to them, involved reader can also benefit from the easy way it presents various ideas and approaches to problem solutions. It is written in a clean and easily understandable, but still highly scientific language and it is a beneficial reading for post-docs and researchers interested in metaheuristic approaches to graph-based discrete optimization problems."